It follows a complaint by a Republican state lawmaker. 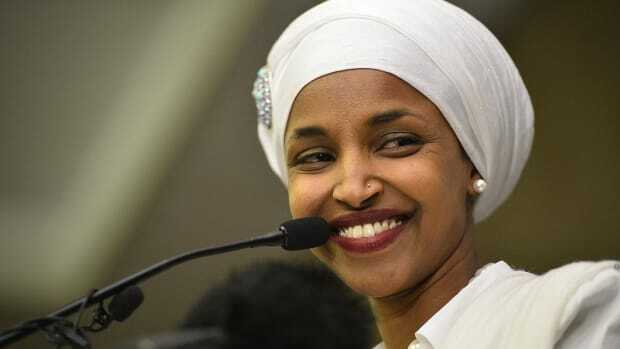 Minnesota state representative Ilhan Omar has said she will repay $2,500 in speaking fees after a complaint made by a Republican lawmaker. House Rep. Steve Drazkowski (R-Mazeppa) released documents on Monday that showed Omar received $2,000 to speak at Normandale Community College on Feb. 28, 2017 and $500 to speak at Inver Hills Community College on Apr. 19 the same year. These are Minnesota State colleges, and Minnesota House rules bars representatives from accepting speaking fees from organizations that have business at the Legislature. On Monday, Omar, who is running for Keith Ellison&apos;s soon-to-be-vacant seat in Congress, said she would be returning the fees. "A number of speaking engagements, including these, were scheduled and confirmed prior to my election, swearing-in, and instruction on Minnesota House rules," Omar said. "In the transition, we didn’t realize that we would need to look back and apply these rules to previously confirmed engagements. "It’s regrettable that Rep. Drazkowski didn’t approach me directly with his concern so I could address this oversight. To address this concern, these honoraria will be returned to the institutions through their scholarship funds as soon as possible." Earlier on Monday, Drazkowski accused Omar of abusing "the power of her officer and her committee assignment for personal financial gain." He claimed she was "fully aware" the accepting the payments was in violation of House rules. Drazkowski is the same legislator who accused Omar earlier this month of using campaign money to pay a legal firm that handled her divorce. The law firm denied this is what the payment was for, the Star Tribune reported, saying it was instead a payment for crisis management services it provided her campaign. The state lawmaker was only elected in 2016. Democrats are reportedly formulating a resolution following more claims of anti-Semitism. Comments she made regarding the role of money in pro-Israel lobbying have led to accusations of anti-semitism. The Minnesota congresswoman has come in for some criticism for previous social media posts. Ilhan Omar made history when she won election to Congress on Tuesday. The vote overturned a 181-year-old rule.